12-0-0 Select Organics® Blood Meal. Net Wt. 3 lbs. (1.36 kg). 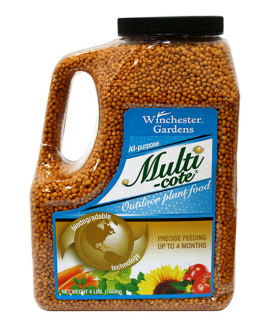 Winchester Gardens Select Organics® Blood Meal is a natural source of organic nitrogen. Nitrogen is essential to healthy plant growth and required by most plants. 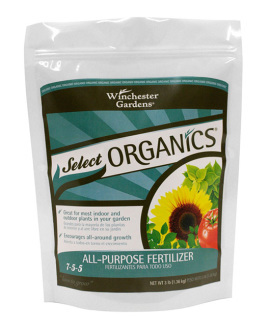 Winchester Gardens Select Organics® Blood Meal is a high quality organic nitrogen supplement that will give your vegetables, flowers, fruits, and other types of plants the boost they need to grow green and strong. 1. Apply 1 tablespoon of Blood Meal per 2 square feet of area, or 1 cup per 30 square feet of area. 2. Spread Blood Meal evenly around plants. Avoid concentration around the trunk or crown. 3. Blend Blood Meal into the top layer of soil. Mix to a 1-3 inch depth. 4. Water immediately after feeding. 5. 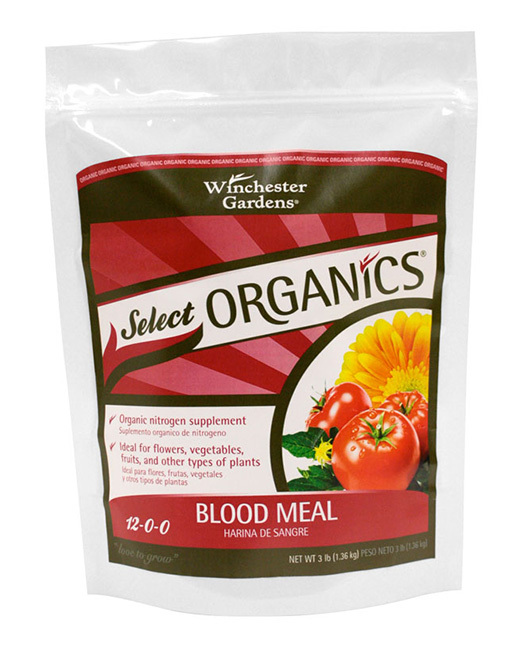 Winchester Gardens Blood Meal is best used at the time of planting or early in the season. Repeat every 6-8 weeks or as necessary.